A Huge Thank you – Our sincere thanks to the thousands of visitors who attended the weekends eighth AAF at the Aberdeen Beach Ballroom. Our thanks also to all the exhibitors who put in such long hours in preparation for the event and whose exhibition stands looked stunning at this superb venue. Special thanks goes to our headline sponsor, TAQA, who makes events such as these possible. And finally please do keep an eye on our Facebook page as we have a very special announcement to make about AAF 2019. 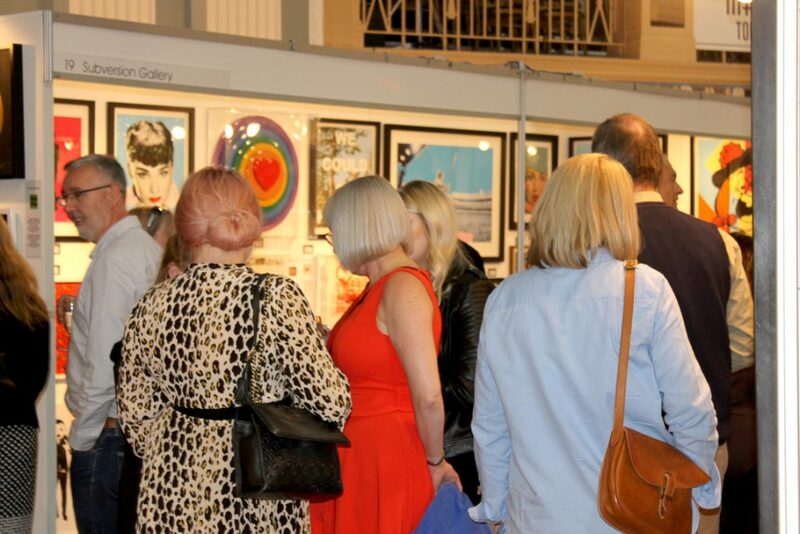 Don’t miss this weekends Aberdeen Art fair which promises to be the most exciting and colourful yet with a stunning range of work from across the county. The event is on at the city’s iconic Beach Ballroom venue and will host exhibitors that include some of the finest galleries and artists from across Scotland and the UK including household names, celebrity artists, award winning local creatives and a wonderful selection of new and emerging artists. Visitors can expect to see a wide range of new exciting work fresh to the North East of Scotland and with prices now from £50 to £30,000 and over we aim to offer something for every taste and budget. If you are an art enthusiast, beginner or collector we look forward to welcoming you to this exciting and friendly event. To keep up to date join us on Facebook or sign up below for our newsletters. A great opportunity to view and invest in emerging and established artists and the big names of tomorrow. Art now includes an even wider range of paintings, art glass, sculpture, ceramics, photography and designer furniture.